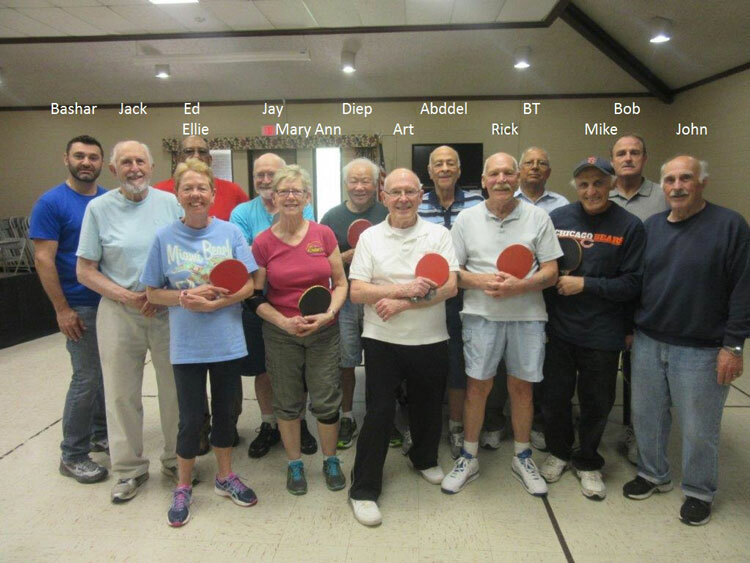 The Calendar House Ping Pong Group. We have a group of 8 to 14 regular players right now meeting in room 2 on Monday mornings at 9:00 and Wednesday afternoons at 1:00 pm. Stop in some time and either join us or just to watch how we're doing We started playing some months ago and we all had the same thing in common: We hadn't played in 20 years - at least that's what we all said! It's amazing how quickly it all comes back to you. You could say it's like riding a bike. Once you know how you never forget. We've now reached a level where we have some good competitive games, either singles or doubles matches. The Calendar House bought us a second table when we found that our numbers had reached high enough to justify two tables being bought into play at the same time. We've had players from the Wallingford Senior Center join us and we've taken our game on the road to their house too. 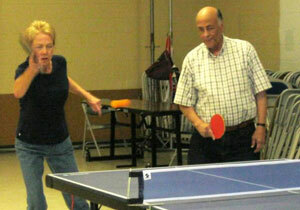 Play is open to any Calendar House member interested in the sport. We have house paddles if you don't have your own. 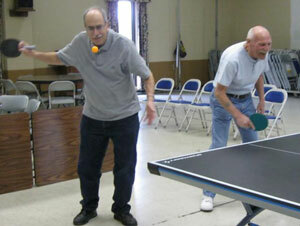 You'll find its good exercise and good for the hand-eye coordination. You'd be surprised just what a workout it can be.